January kickstarted my Sip It! series in partnership with the Nashville Entrepreneur Center and The Tennessean. The yearlong, live interview series features subjects from my first book, Word of Mouth: Nashville Conversations. 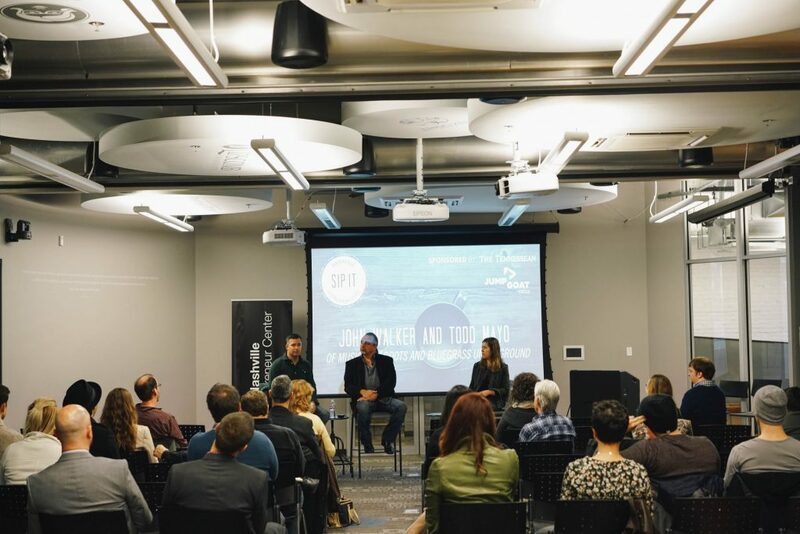 As I explain in my podcast interview with Nashville Entrepreneurship Story host Clark Buckner, the monthly event encapsulates the ethos behind my brand— spontaneous conversations scattered with nuggets of wisdom. It is genius extracted from the real life experience of country music legends, tattoo artists, poets and restaurateurs. Throughout the two-year long creative process they were my mentors, muses and motivation. They kept the train going when it could have easily fallen off the tracks. View the highlights reel of my interview with John Walker and Todd Mayo, founders of Bluegrass Underground and Music City Roots, below. Thanks to Jump Goat Media for a beautiful video. I look forward to shooting the breeze with Kix Brooks tomorrow. Read journalist and editor David Plaza’s preview of the event in The Tennessean here. Listen to a podcast interview with Lily Clayton Hansen here. Check out more of Jump Goat Media’s work here.